The creative workshop was part of a multistage process for the study “When water becomes the new oil. 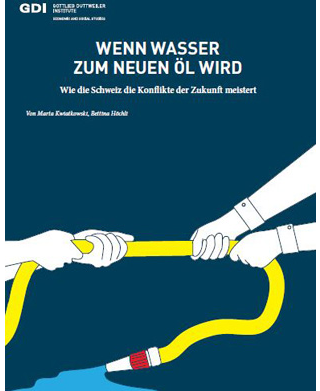 How Switzerland will handle the conflicts of the future.” which the Gottlieb Duttweiler Institute created on behalf of The Swiss Water Association (VSA). The study was published in German (with a French abstract) in May 2016 . The authors Marta Kwiatkowski  and Bettina Höchli illustrate how a “Liquid Decision” model can respond to the challenges Switzerlands water economy will encounter.